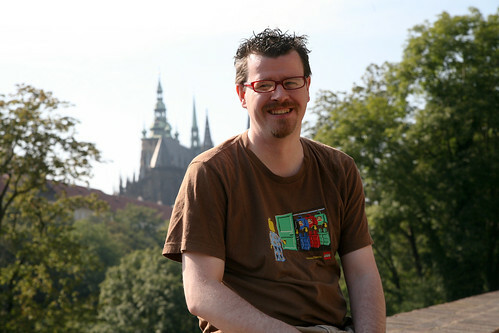 me with prague castle in the background, originally uploaded by akira_kev. Well its time to leave Prague, I have about 700+ photos to edit and pop up online on my Flickr account so it might be a bit of time before they are all up. I've had a great time and loved the place. 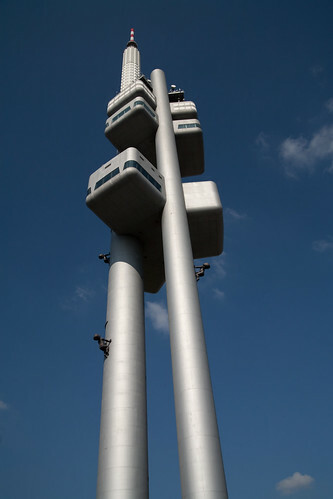 TV Tower Prague, originally uploaded by akira_kev. We went for lunch up on this tower today, it was quite amazing. welll i haven't been blogging recently due to working at tradeshow and now I'm currently on holiday in Prague. So far Prague has been beatuiful, lovely city and lovely people. The ability to smoke inside has been on one other persons highlight of the trip but I digress. Pictures will be popping up next week as I didn't bring a cable to get the shots off my CF cards. Till then I'll pop the odd shot on flickr and twitter so see ya soon. The first of many press releases hit the news stand today for ContentAgent the product I work on. For many years I've worked with Tektronix waveform monitors as a broadcast engineer so it with great joy that we've been working with Tom from Tek to get the Cerify API into ContentAgent. Version 2.5 of the software will enable ContentAgent to be fully integrated with Cerify, an automated, file-based quality control system for verifying file-based content prior to transmission or digital delivery. Other new ContentAgent features demonstrated at the show will include a fully automated DVD and Blu-ray disc authoring and publishing system developed in conjunction with Rimage Inc.